Vox Femina Los Angeles continues its 15th anniversary season with From Shakespeare to Shamrocks, a spring concert celebration that brings the English and Irish together in song on Saint Patrick’s Day, Saturday, March 17, 2012 at the Zipper Concert Hall in the Colburn School of Music. In this bi-cultural evening, Vox Femina will unite classic Shakespeare sonnets with authentic Irish music sung in Gaelic. From classical works to folk songs, traditions new and old from England, Scotland and Ireland will be celebrated at the event. The tradition of setting Shakespeare’s texts to music has long featured both male and female voices. Vox will be turning this convention upside down with compositions arranged purely for the female voice. The latter part of the concert comprises Irish and Scottish music including Scottish “waulking” folk songs, traditionally sung by women as they gather to clean clothes. Singer-Composer Moira Smiley has been engaged by Vox to perform at the event, which will include Smiley singing the solo on the traditional Irish piece “Si do Mhaimeo,” as well as performing a solo set of traditional folk songs. The last selection of the evening, “The Irish Blessing,” was arranged for Vox, for female voices only, in 2007 by Graeme Langager as a tribute to Lynn Bielefelt, a dear friend and long-time supporter of Vox, who succumbed to breast cancer in 2001. The original composition of “The Irish Blessing” was dear to her heart. 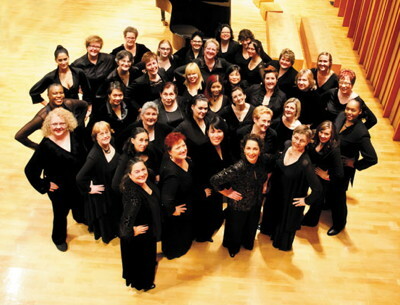 Vox Femina Los Angeles gives women voice through the performance of quality choral literature. Diverse in culture, age, race, belief, and sexual identity, Vox is a chorus committed to commissioning new works and raising awareness about issues that affect the family of women. Through music, the chorus aims to create a world that affirms the worth and dignity of every person. Public parking is available at lots adjacent to the school and limited street parking is also available within the area. For tickets and additional information, please go to their official site. • February 2012 – Vox has been honored with an invitation to perform Mahler No. 8 Symphony of a Thousand with 14 other choirs and the Los Angeles Philharmonic on Saturday, February 4, 2012 at Shrine Auditorium. This spectacular performance will include over 1,000 instrumentalists and singers. • March 2012 – Vox has been chosen via blind audition to perform at the American Choral Directors Association Western Division Conference in Reno, NV on Thursday, March 1, 2012. • May 2012 – Colors of Love: A Celebration of 15 Years with Vox Femina Los Angeles, a fundraising event on Saturday, May 12, 2012 at the Ebell Club in Highland Park, will feature live music, dancing, food, drink, and memories from 15 wonderful years of giving women voice. • June 2012 – Celebrating the Muse will look back at the music, people, and events that have inspired Vox Femina over the past 15 years. 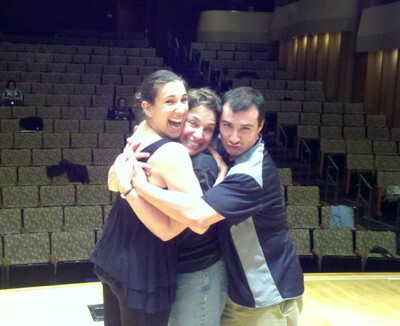 This special concert will be held on Saturday, June 16, 2012 at Zipper Concert Hall in the Colburn School of Music. Vox Femina Los Angeles is a women’s choral ensemble dedicated to the performance of quality choral literature from a world perspective with an emphasis on music by women composers. The chorus was founded in 1997 by Artistic Director Dr. Iris S. Levine. The 21 founding members of Vox Femina first appeared on stage as guest artists with the Gay Men’s Chorus of Los Angeles in Apr il 1997. Since that time, Vox has quickly established itself as one of the premier women’s choruses in the United States with a demonstrated ability to perform highly eclectic repertoire, some of which can be heard on several recordings. It actively fulfills its mission through an aggressive schedule of performances, touring and educational outreach. Vox has demonstrated its support and encouragement of living composers through commissioning new works. Auditions are held every August. Nationally recognized for her excellence in choral conducting, Dr. Iris S. Levine is the founder and artistic director of Vox Femina Los Angeles, the city’s premier women’s chorus. Through her extensive experience with women’s choral literature and innovative concert programming, Dr. Levine has charted Vox Femina’s 15-year journey, building its prominence in the choral community by way of num erous appearances at ACDA (American Choral Directors Association) conventions, and over 100 appearances throughout the United States, Mexico and Canada. Dr. Levine earned her Doctorate in Choral Music from the University of Southern California under the tutelage of Rod Eichenberger and James Vail, and she holds a Master’s degree in Choral Conducting from Temple University in Philadelphia, where she studied with Alan Harler. Dr. Levine is Department Chair and Professor of Music at California State Polytechnic University in Pomona. She is also the Artistic Director for the Master Chorus at Stephen S. Wise Temple, where her choral arrangements are often performed. Dr. Levine is also National Chair of the ACDA Repertoire and Standards Committee for Women’s Choirs and is highly sought as guest clinician and adjudicator for choral festivals throughout the country. LA-based Singer-Composer Moira Smiley travels the world as a vocalist and creates music for dance, theater and film. Her voice, improvisations and compositions can be heard on feature films, documentaries, BBC, PBS, and on over 40 recordings including her recent albums blink (with VOCO) and rua (solo): fiercely spare and elegantly lush collections of warped traditionals and new songcraft. She has sung with leading ensembles and artists around the world including Paul Hillier’s Theater of Voices, Ladysmith Black Mambazo, KITKA Vocal Ensemble, New World Symphony, and Shakespeare Santa Cruz. Featured in Lincoln Center, UCLALive, Royal Festival Hall, folk and classical music festivals across the U.S. and Canada, Smiley’s work has received praise in Billboard and Gramophone. For more information please visit her official sites here and here. The Colburn School’s mission is to provide the highest quality performing arts education in an optimal learning environment. Founded in 1950, The Colburn School was established as a small preparatory school in connection with the University of Southern California’s School of Music. The School became an independent, nonprofit institution in 1980 through the generous support of its benefactor, Richard D. Colburn. In 1998, The Colburn School moved to its current location on South Grand Avenue. One of LA’s most popular performance halls, the intimate 435-seat Zipper Hall at The Colburn School is home to many arts groups from the greater Los Angeles area, including the Los Angeles Chamber Orchestra, Camerata Pacifica, Southwest Chamber Music, Monday Evening Concerts, Lark Musical Society and Piano Spheres. 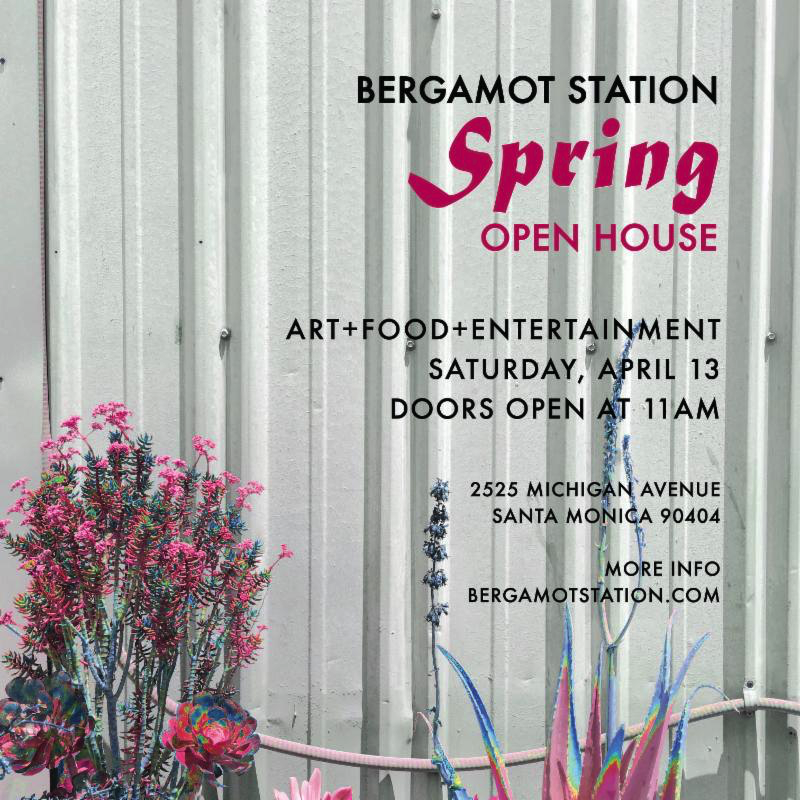 For more information, please call 213-621-4514 or visit their official site.